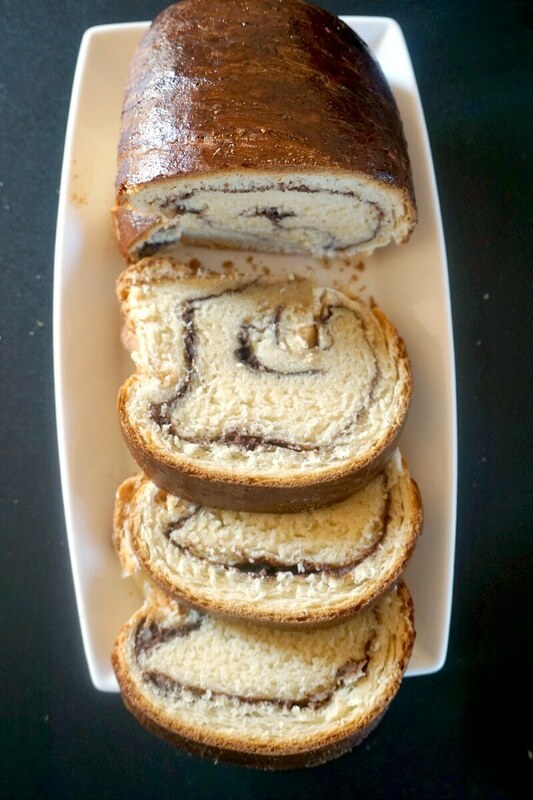 Romanian Sweet Bread or Cozonac, our traditional dessert for Easter, Christmas or any other important celebration. 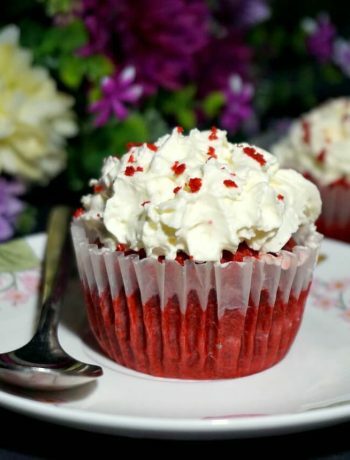 It can be as simple or as rich in fillings as one likes, and it’s just heavenly delicious. Every country has its own traditional food that is cherished and enjoyed either on special occasions, or on a daily basis. Some desserts are best enjoyed depending on the season, where others are great all year around. Our Cozonac is every housewife’s pride; making the best, fluffiest, tastiest sweet bread is not quite a piece of cake. But it’s certainly doable. 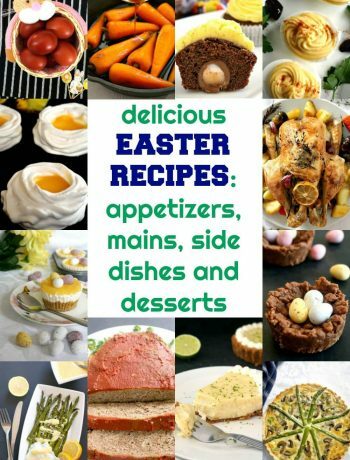 There are thousands of sweet bread recipes out there, some simple, with just cocoa and walnut filling, others that also use turkish delight, raisins, poppy seeds, you name it. 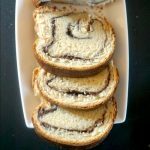 The process of making Romanian sweet bread is fairly simple, but you do need to keep in mind that there are best conditions to be met in order to make a good cozonac. Let’s see what these conditions are! The sweet bread is temperature-sensitive, the dough will not rise the way you expect if the room is cold, which means the cozonac will be too dense, rather than fluffy. Eggs and butter must be taken out of the fridge at least one hour before you start making the dough. I microvawed mine for about 60 seconds, and that was more than enough. It it rises nicely and becomes foamy in about 10-15 minutes, that’s great. The dough will rise further in the oven, but a good cozonac should be well risen above the bread tin, so double proofing is crucial. There are two ways, you can choose whatever you like better. 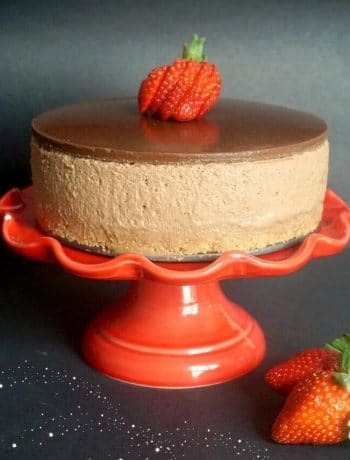 You can either beat one egg white and add the cocoa powder, sugar and chopped walnuts to it, or just use the dry ingredients without egg white. I chose the fist option, where I beat the egg white with sugar until it held stiff peaks, then I added the cocoa powder, vanilla extract and walnuts to it. Once the dough is ready and rolled, spread the filling over, making sure you leave plenty of room around the edges, otherwise it overflows when you roll it back. If you add any other ingredients, like raisins or turkish delight, just spread them all over before rolling the dough. How long do you bake the sweet bread for? The Romanian sweet bread is baked at 180 degrees Celsius (350 Fahreneheit) for 45 minutes. Looking for more traditional Romanian treat for Easter? Our Romanian Easter Bread or Pasca is similar to this sweet bread, but it’s filled with a cow’s cheese and raisins filling. 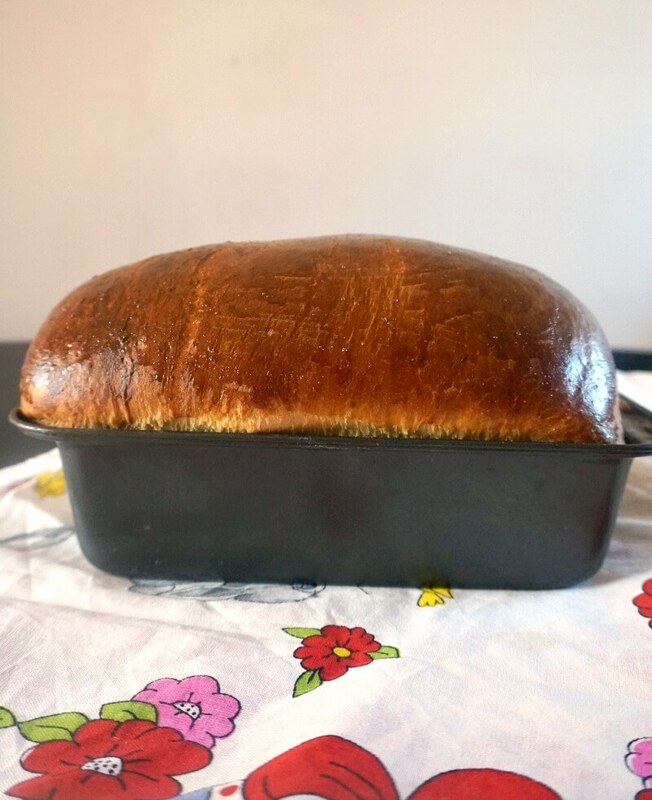 If you’ve liked the ROMANIAN SWEET BREAD OR COZONAC or any other recipe on the blog then don’t forget to rate the recipe and let me know how you got on in the comments below, I love hearing from you! You can also FOLLOW ME on FACEBOOK, and PINTEREST to see more delicious food and what I’m getting up to. 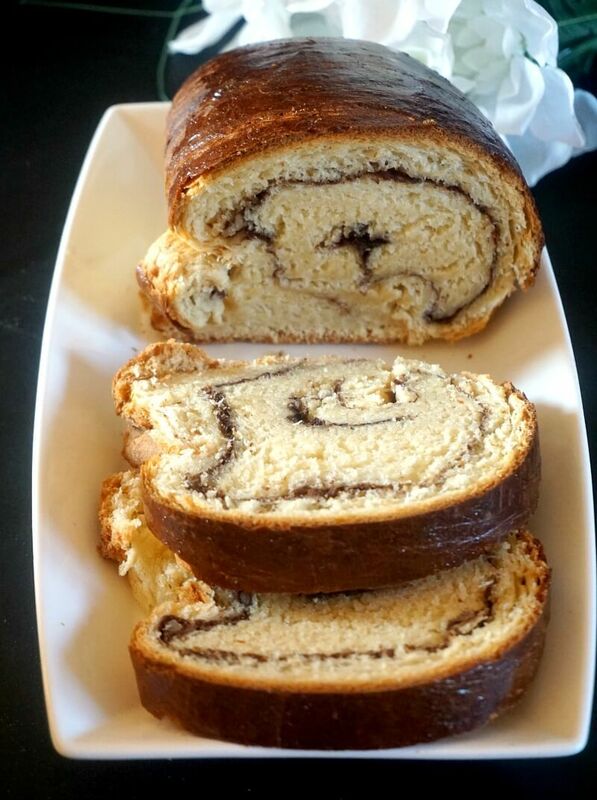 Romanian Sweet Bread or Cozonac, our traditional dessert for Easter, Christmas or any other important celebration. It can be as simple or as rich in fillings as one likes, and it's just heavenly delicious. 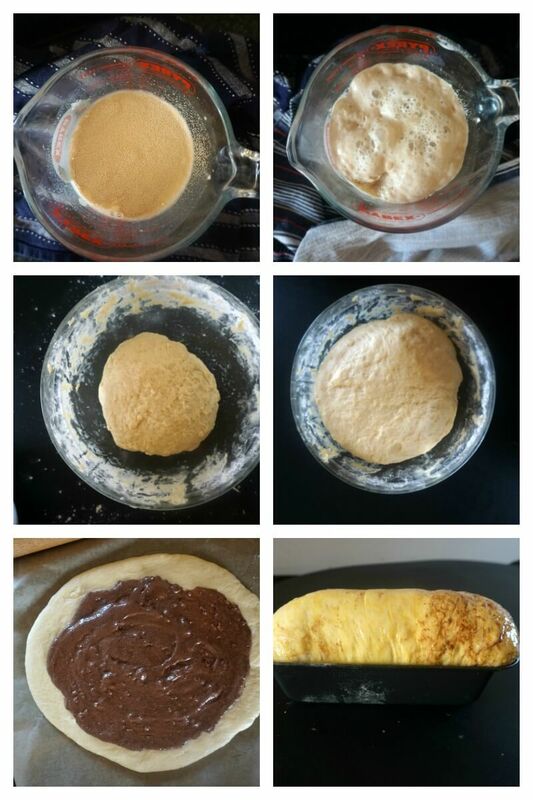 To make the dough, warm up the milk, add a tablespoon of flour, one tablespoon of sugar and the yeast to it. Give it a stir, then set aside for 10-15 minutes until foamy and well risen. Beat the soft butter with the sugar, and add the egg yolks. Sift the flour, add the butter mixture, the yeast mixture, lemon zest and extract and a pinch of salt. Knead well into a dough for at least 5-10 minutes, we need the dough to be elastic and easy to shape into a ball. Add more flour if necessary. Cover the dough with a clean kitchen towel, then leave to proof for 2 hours or until it doubles its size. To make the filling, beat the egg white with sugar until it holds stiff peaks. Add the cocoa powder, vanilla extract and walnuts. Roll the dough the spread the filling, leaving the edges clear, so the dough can be rolled back into a sausage. Grease a bread tin well, add the dough, and leave to rise again, for at least another hour or so. Preheat the oven to 180 degrees Celsius (350 Fahrenheit). Beat the whole egg, and brush some all over the top of the dough. Bake for 45 minutes or until a skewer inserted in the middle comes out clean. Remove from the oven, leave to cool, then run a sharp knife around the edges, it should come out easily. If you'd like to see the ingredients listed in cups and ounces, please check the US Customary Link. Also, the amount of ingredients changes depending on the servings, so click on the number listed to change it to the number you prefer.